It’s been three weeks since my last Five Favorites post, so I’m excited to be joining up again with Hallie and several other ladies! Inspired by my recent getaway to Gatlinburg, I decided to do a special Tennessee-themed post! It was hard to pick just five! It’s so nice to live only a 4-hour drive from these beautiful mountains! It had been six years since our last vacation to Gatlinburg/Pigeon Forge, so it was nice to finally get back! 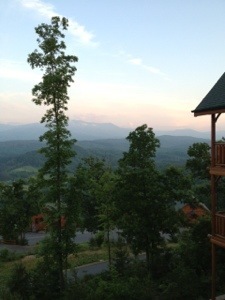 Waking up to a gorgeous mountain view every morning was so peaceful, and much needed. I think we’re going to try to go annually from now on… we’ll see! I never get tired of driving downtown, because I love the view, especially at night! The “Batman building” is iconic! Of course sweet tea isn’t just a Tennessee thing, but there’s not a place you’ll go where you can’t order sweet tea down here! 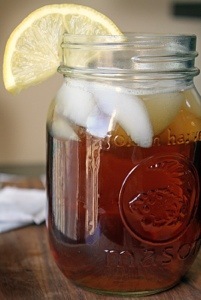 Being from northern Indiana, sweet tea was not something I grew up drinking! I’ve recently started making it myself instead of just buying it from the store. I came across a great tip the other day! Add a pinch of baking soda to the boiling water and it will cut the bitterness of the tea and erase the cloudiness from adding sugar! YUM! Although Nashville is a little soap opera-y (entertaining for sure, though! ), I have enjoyed watching the first season because it’s so fun to see all of the places around town that they feature. As I’ve mentioned before, Adam works at Soundcheck where they filmed a lot of scenes. The logo can be found in many episodes, too! St. Joseph Church in Madison, TN is the parish that I attend. 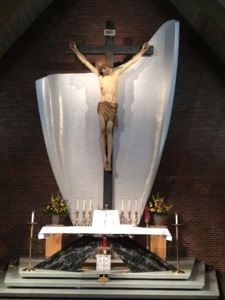 As you can see in the above picture, we have a gigantic crucifix behind the altar. It is so beautiful and awe-inspiring! This photo doesn’t do it justice! Interestingly enough, when my family and I visited Nashville on vacation when I was in eighth grade, this was the church that we went to for Mass. Little did I know that I would move down here and attend this parish about seven years later! I hope everyone is having a great week! Thanks for stopping by today! It’s definitely a great city! Indiana will always be home to me, but love living here! Beautiful crucifix and mountains! 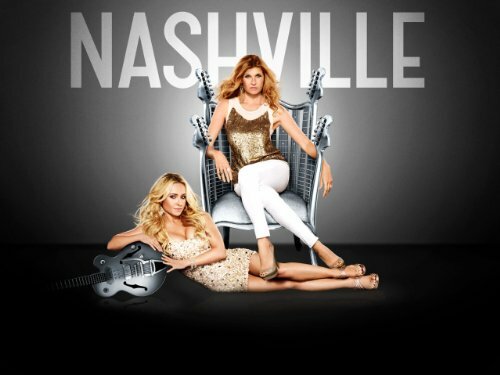 Also, haven’t watched Nashville but have heard a lot of great reviews! Might have to start watching. It’s definitely a show that can get addicting! My family vacationed in the smoky mountains several times and I have such fond memories of them. So beautiful. And I loved my one visit to Nashville. I’d love t go back. I have a lot of family in MI, so that also feels like home to me! 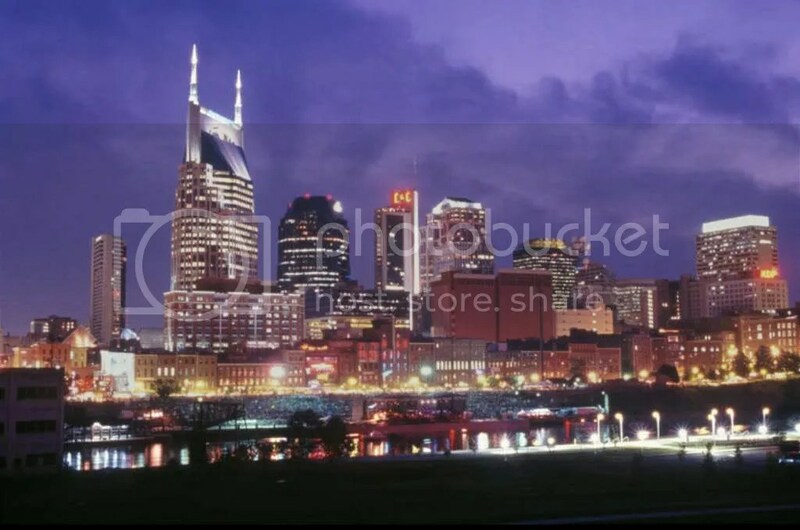 You’re right- here are a lot of great churches in TN! WOW. 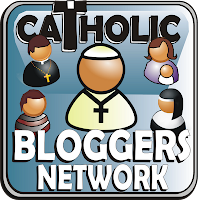 I’ve always wanted to see the smoky mountains and that crucifix is just beautiful!